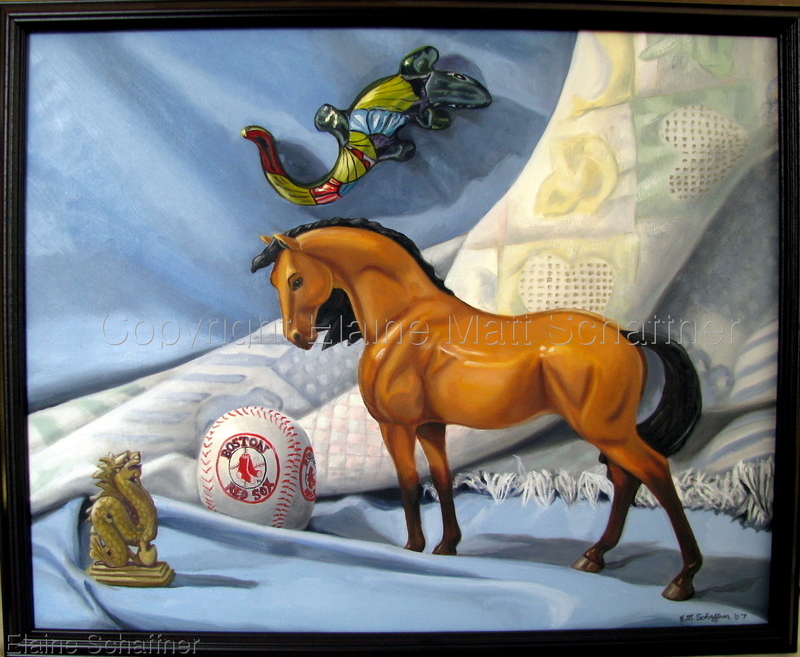 This personal still life was created for my then ten-year-old daughter, Rebekah. She selected these objects as symbolic of who she was at that point in her life. If you wish to commission a personal still life from your own significant objects, please contact me and we can discuss it.